Where shall we go in the summer (it’s tricky!)? We went to Paris in October. Where’s next? Where should we go in the summer? That’s our burning question for now. It may only be January, but you can never think about your next trip too early! I gave advice on summer family holidays in this post on Top Cashback and realised there there were so many things to take into account…It’s not easy. Firstly, of course, there’s a budget. Like most people we know, we don’t have a great cache of money hanging around waiting to be used, so although we would love a fly drive trip to the USA, that’s not going to happen. Which leaves the UK and Europe. I love travelling in the UK, taking the train, or car. There are so many places we haven’t gone to, and I think the children would love York. Cornwall and Devon are always fantastic and I have had long had a yearning to visit Lincoln (why? I’m not sure). Wales is so pretty (though often too wet!) and Scotland too. There are lots of choices. But Jessica craves Italy, partly due to the idea of delicious ice cream, pasta and pizza, but also just because it’s a place she’s always wanted to go. And both children like the idea of Spain (though would it be too hot in the summer?) and Scandinavia. I love lakes and mountains, so the Italian lakes are tempting, and so is Switzerland. Of course what we do on holiday matters too. We like to walk around and be busy (although Robert loves the beach). That means we like places with castles and kid friendly museums, plus walking or bike trails and maybe a local swimming pool. The children like trying things out – climbing trails for example – and I like beautiful scenery. What do you think will suit us? And do you already know where you are going this year? As someone who loves traveling its so hard that I am having to be cutting down on the weekend Europe city breaks this year so that I can save up for a long Safari trip to Zambia and Malawi. In doing that the plan this year is to see a lot more of UK and there are plenty of places that are so beautiful but we seem to go abroad for a break when there is so much beauty here. Only let down is the weather of course but there is so much to see so I will hopefully blogging about Isle of Wight, Newquay/Cornwall and definitely Scotland to name a few. Loook forward to reading more of your travels 😀 Visiting via FB UK bloggers. A safari sounds absolutely amazing – hope you will write about it. And of course, you are right that there is lots to see here in the UK. Probably too much! We have been to Lanzarote, but never Tenerife – thank you for the tip. Sounds terrific. I can certainly recommend Scandinavia. Sweden was just beautiful with cities, lakes and coastal areas well worth visiting. I think we may be travelling round Ireland but still dithering! Oh, we absolutely loved Ireland when we went – wonderful people and gorgeous scenery. That’s also on our list…Jess very keen on Scandinavia, but I am a bit worried about price! 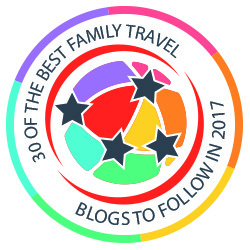 Well we’re very biased towards Italy as we have relatives there, but I’ve always found it a great place to travel with kids. We’re going to Sicily for our family summer holiday this year. Would love to visit USA – sometimes just because Europe is close by doesn’t make it any cheaper – a weekend away in Paris can cost as much as a week somewhere else! Luckily you can get lots of good last minute offers and deals – I love Italy, I also think Greece is a great place to go! We’ve started doing a short break to Croyde in Devon every year, because some of our kids are at uni or older and some are school age and this means we can all have a break together. We glamp because the break is so short and the drive so long (we drive drom Essex) that it’s nice not worrying about the tent set up/take down. That”s a tricky one-so much world! We are thinking of biking Ireland’s Wild Atlantic Way this summer. After a summer biking the Balkans last year, we feel the need to escape heat and traffic this year. If you are staying in the UK I’d suggest Scotland is a good bet. We just stayed at a fabulous site with Forest Holidays. Forest lodges with hot tubs on the veranda. It was near Loch Lomond. Another idea is Arran. You can even cycle it in a few days. You could even think about a Scottish Island tour. I’ve had a yearning for the Hebrides for some time. White sandy beaches and the place to yourself! The most fabulous place we have ever been to (and surprisingly one of the cheapest) is Iceland. You will have to shell out for flights and car hire,or ferry crossing from Denmark, but if you take a tent then camping fees are negligible with hot pools in every village and most of nature’s attractions are free. If you are still thinking of Italy I took my Mum to Lake Maggiore a few years ago and we loved it. We did an independent train trip to Florence for some art. I will always look back on it as one of my precious moments with my Mum. Better late than never…Just read your blog and wanted to tell you about http://www.auchrannie.co.uk/ have a look and read the reviews. Its fab! Also, if you’re in the area around 4th-6th July there is a family festival called The Kelburn Garden Party it’s fab too! Sorry meant to say they are near and on Arran, which is an amazing island with lots to do for kids.